What's Your Favorite Chrono Trigger Memory? 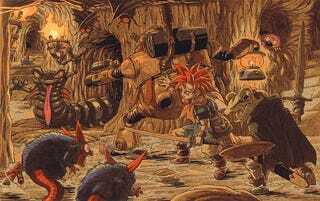 Chrono Trigger, a video game about a guy with spiky hair who refuses to talk to any of his friends, officially turns 20 today, because we are all old as hell. Yep, Chrono Trigger was originally released for the Super Nintendo on March 11, 1995, forever changing the way we look at frogs. To celebrate, share your favorite Chrono Trigger anecdotes and memories below.